For every home, the needs and desires vary. This is one of the many reasons why flexible seating is a problem solver. As we’ve said countless times before, it’s important to know what will work best for your home. Our last blog delved deeper into choosing what style set works best in the ranging needs of a home. More specifically we mentioned seeing an increase of kitchen and dining rooms being combined into one. 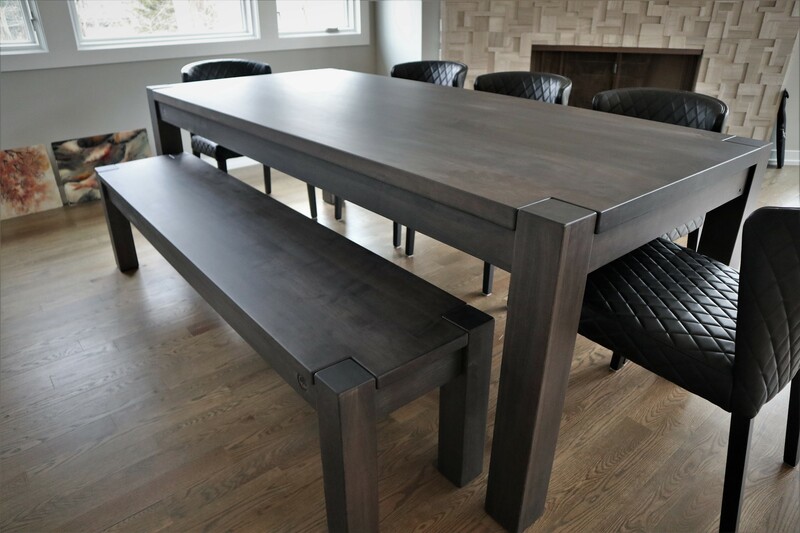 Thus leaving homeowners with the need for a table that doubles as both a kitchen and dining room table. 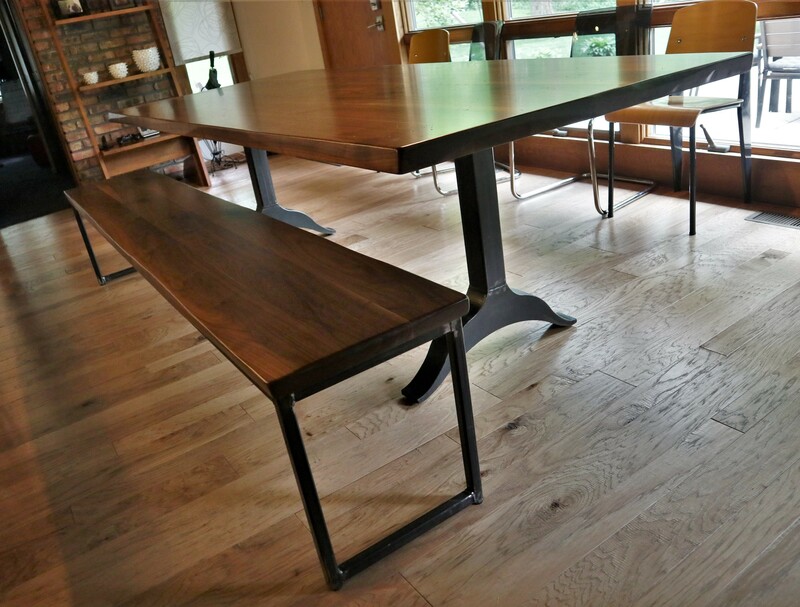 For this reason we’ve found that benches are the perfect solution for a multipurpose, multi-functional room and table. 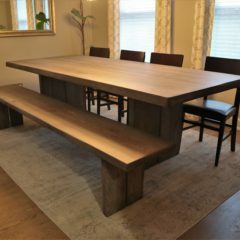 Read on and we’ll educate you on the pros and potential cons when it comes to adding a bench to your custom table set. As we’ve stated above, flexible seating has increased in popularity for many reasons. For some homes, it is the perfect solution, while for others, benches could simply be a nuisance. You must personally weigh out the pros and cons to decide if a bench will suit your home and needs. 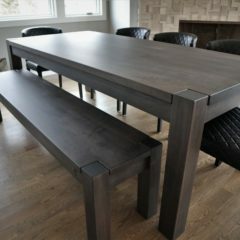 Often the initial response when mentioning benches is one of skepticism, but before your mind’s made up, take a look at the pros when introducing a bench to your table set. We’re bringing a new definition of flexible seating to your home! Unlike chairs, benches give the option to fit more people. If unexpected dinner guests arrive, it’s much easier to cram a few extra bodies on a bench than with chairs. Especially when dealing with small spaces, benches can aid in a room looking more spacious and less crammed. 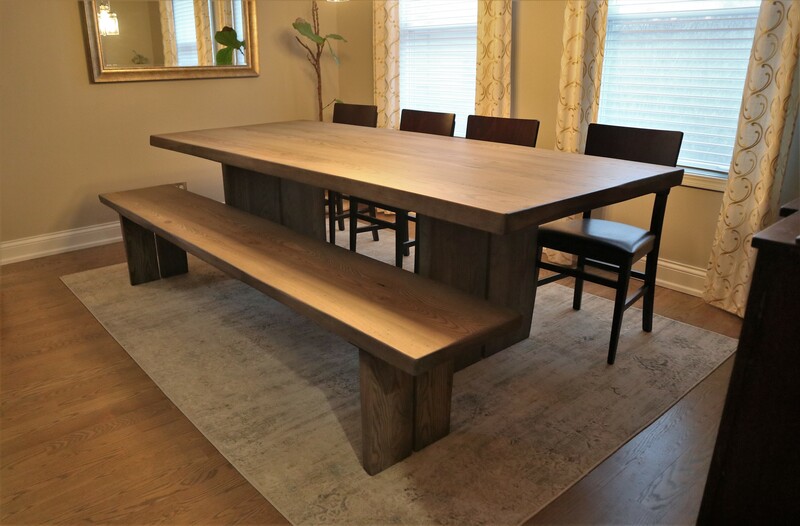 For an example, if you have a table surrounded by chairs, their backs give a heaviness while a bench leaves the room open with nothing to block or cut off. Relating to the above, when dealing with small spaces or walkways, the benefit of having a bench means less blocked traffic flow. If a walkway is slender, you may have to shift your body to avoid bumping into the backs of chairs, whereas with a bench, you needn’t give it a second thought. Unlike chairs, benches don’t need to be moved in and out for sitting. The benches allow families to slide in and out easily without the need to move the bench. This may be the best pro of all depending on who you are, but if you’re a family with kids, you know the struggle of trying to clean dried, sticky food from between chair spindles. With benches, their easy, flat surfaces make for a quick clean up. Continuing on the topic of kids and benches, it may come as no surprise that kids often gravitate towards benches. It’s perhaps a more “fun” seating arrangement. To make it even better, benches can be a safer seat for children as they’re less likely to tip over. Kids often tip more easily in chairs because the chairs lack weight and stability. 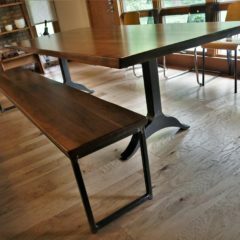 Finally, a pro or con depending on perspective, benches can have a more casual design influence. Whether this is good or bad depends on the desired aesthetic in a room. You decide. The biggest con is the lack of back support and thus for some, comfort. Often benches are a great option for families with kids. This allows free movement and seating for those a bit less picky. Perhaps most importantly how we combat this con is by making the bench seats wider and taller. This helps distribute body weight more evenly on elbows/arms creating less discomfort. In comparison to chairs, our benches are much heavier and thus are not as mobile. For some this could be a deal breaker. However, an easy remedy is adding felt pads to the bottom and thus you have a bench that slides. The final con comes down to personal preference. If you simply do not like the look of a bench, then we’ve dozens of chair options to choose from. Before making your decision, take into account all we’ve listed above. Consider your wants, needs, layout, and how your room functions. From there you should be able to make the decision and find the flexible seating that best suits your home. As always, feel free to let us know if there are any questions we haven’t answered or any topics you’d like us to cover! Want to stay up to date? Check out the newly released chair styles of 2019 and see what pairs best with your new table and bench! Finally, as a friendly reminder, we encourage you to take another look at our Care Guide to pick up a few tips on how to prevent avoidable damage from happening to your furniture as the weather begins to warm!